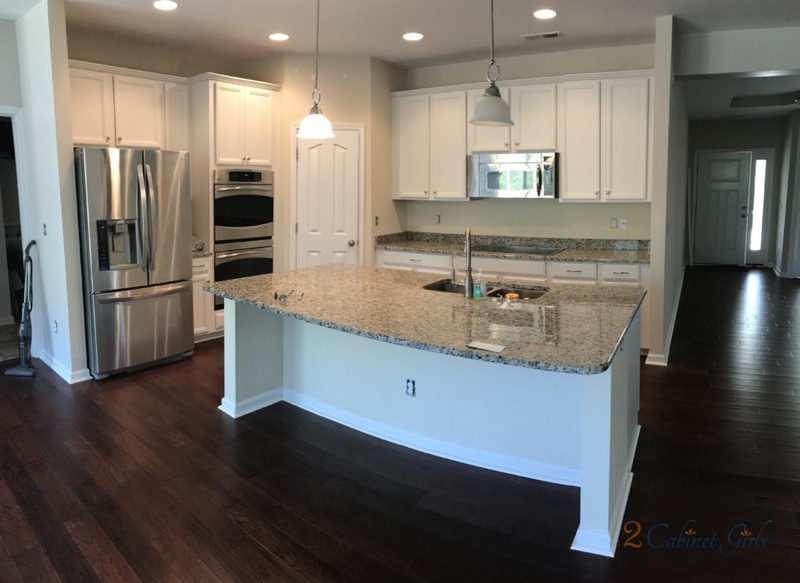 Our homeowners just purchased this adorable house and wanted to make it feel more like their style. 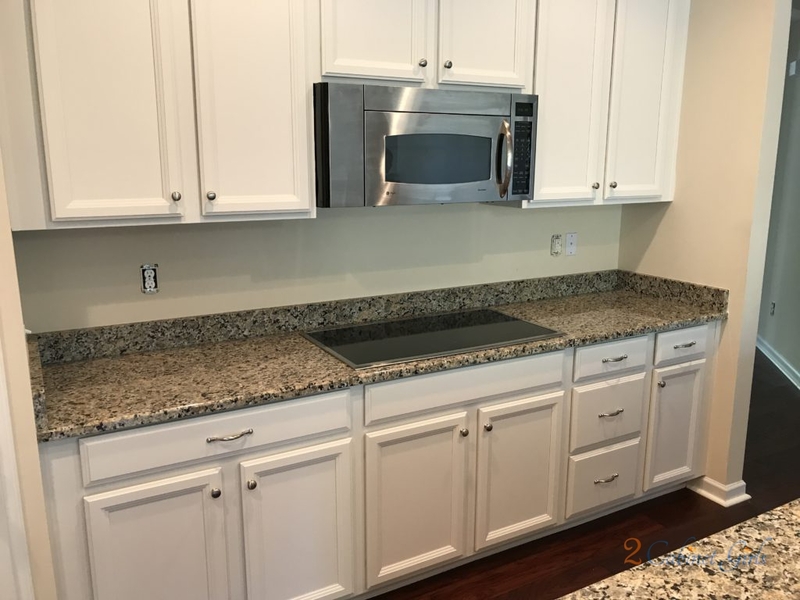 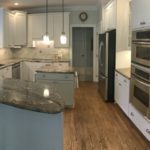 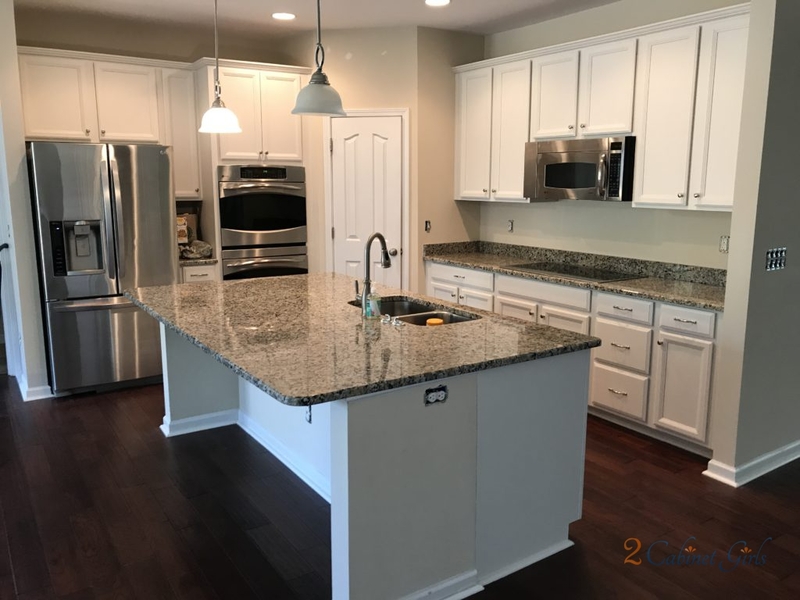 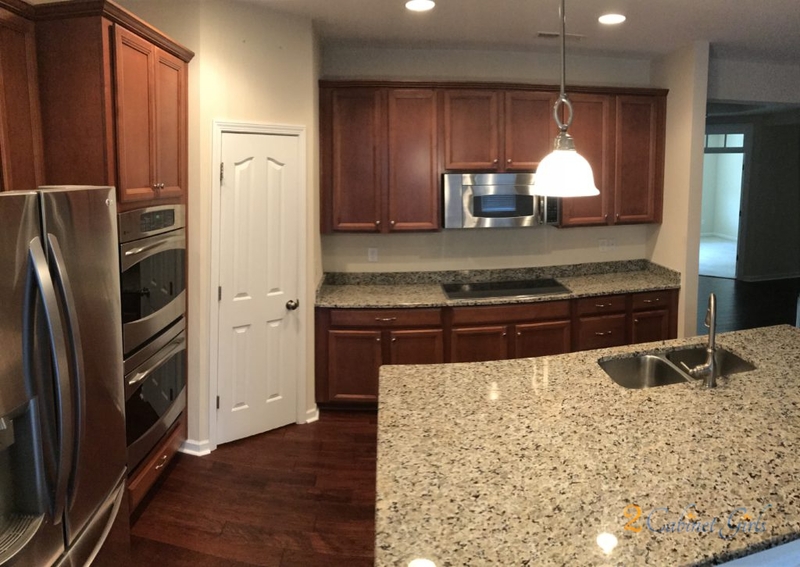 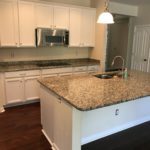 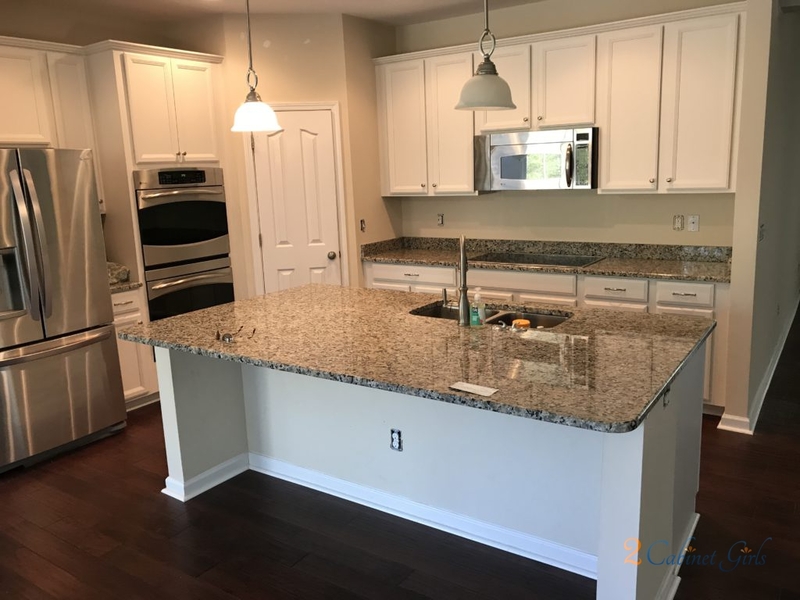 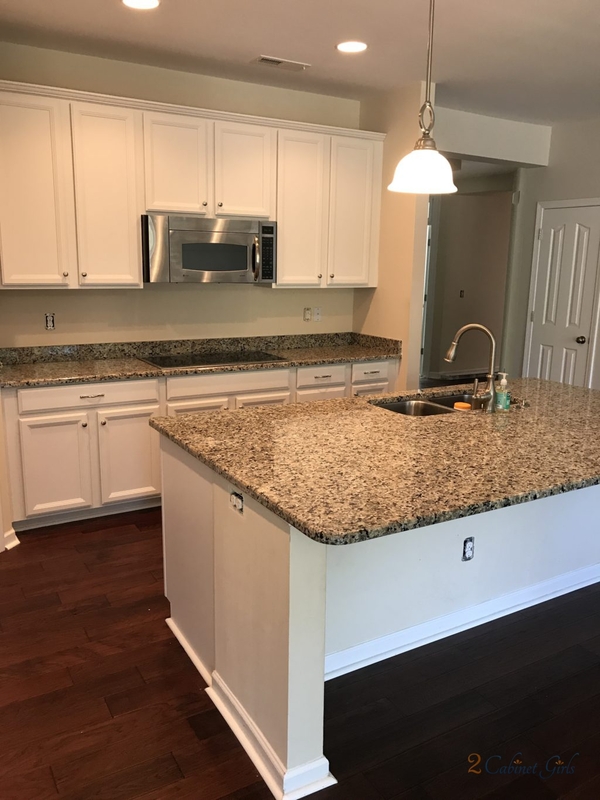 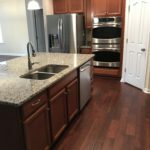 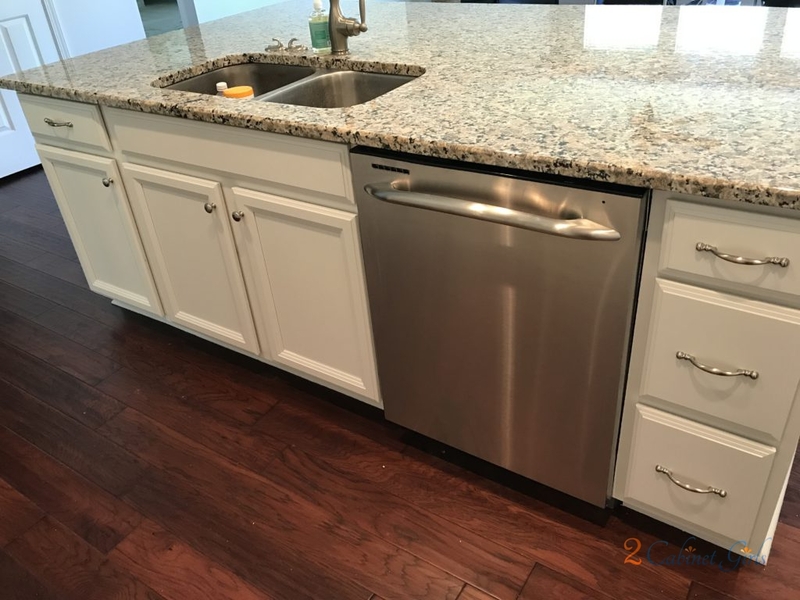 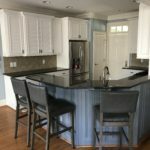 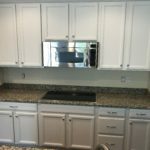 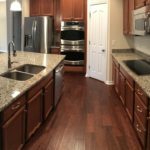 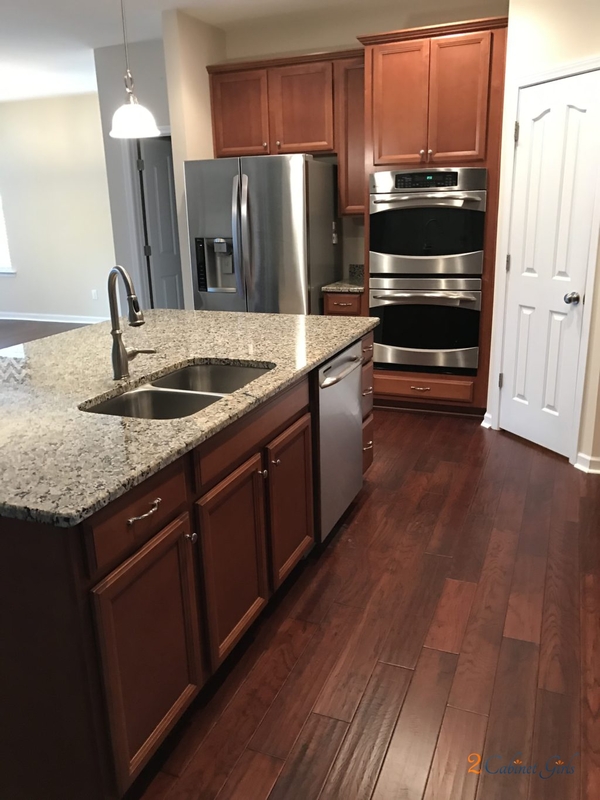 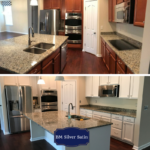 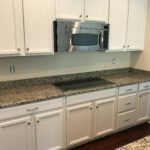 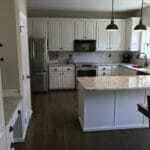 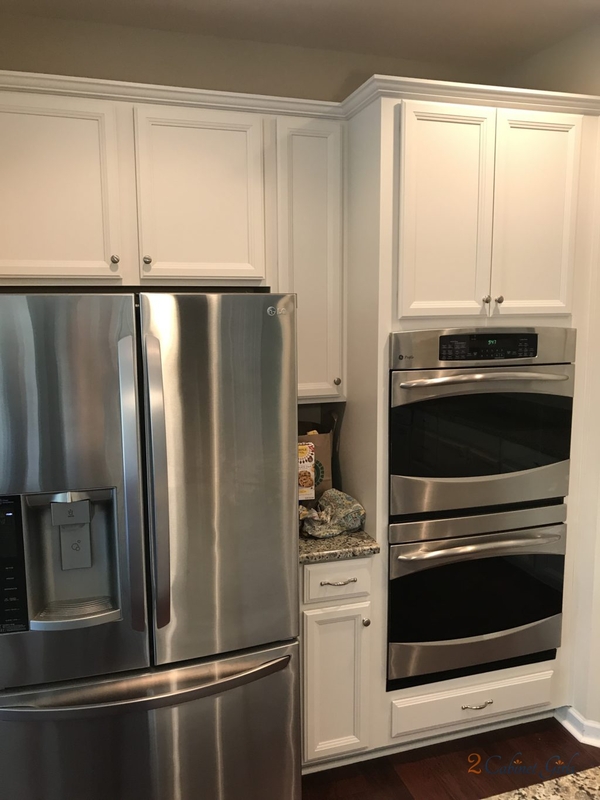 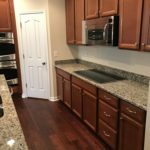 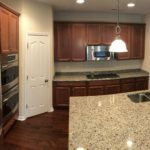 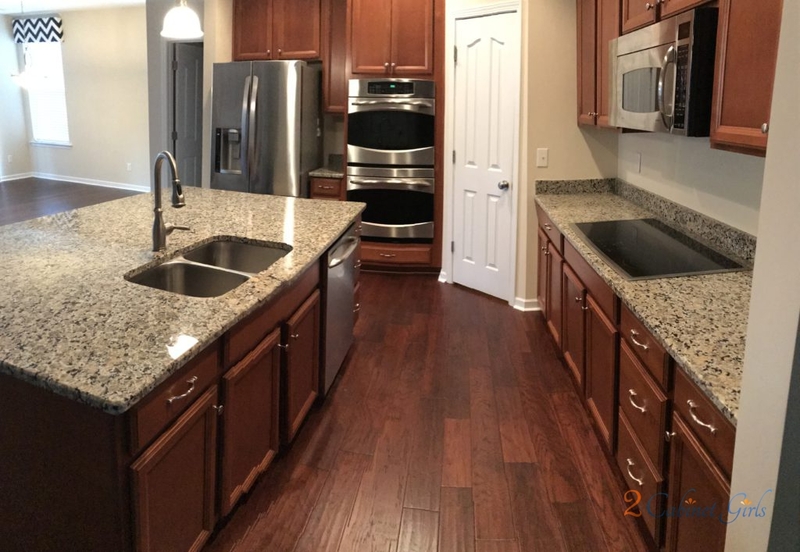 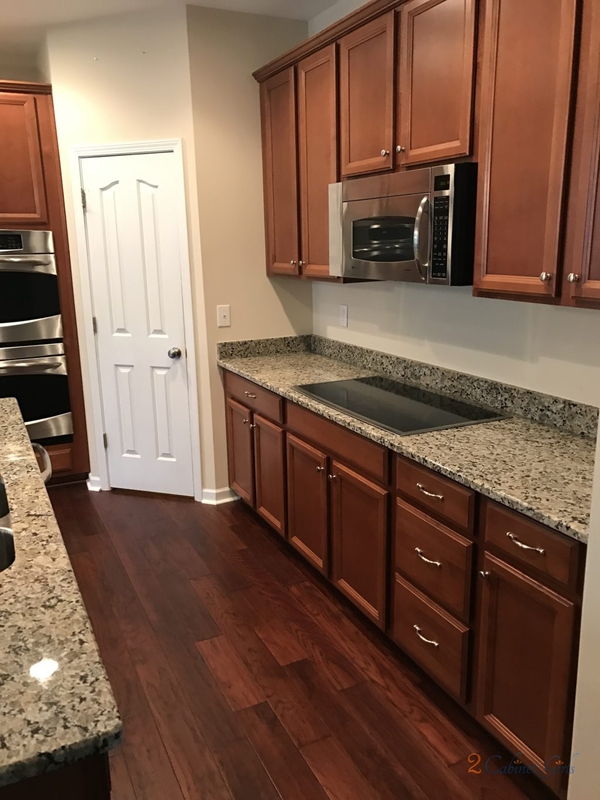 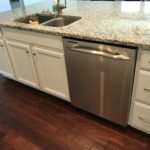 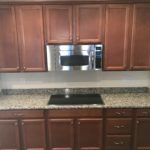 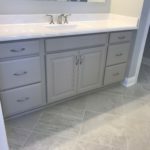 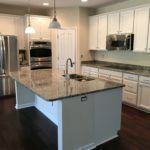 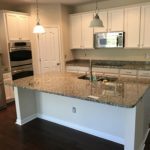 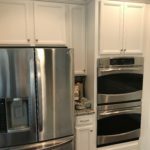 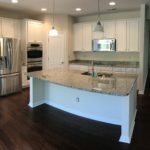 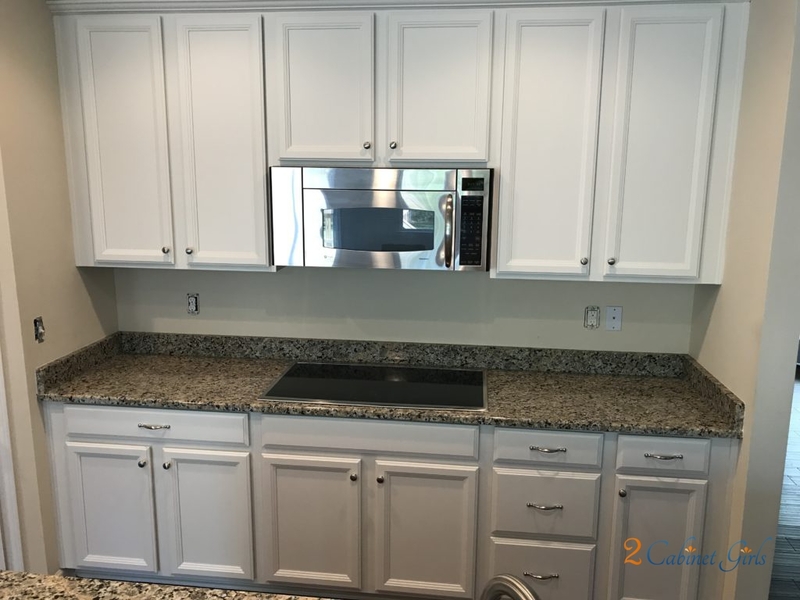 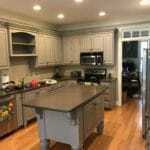 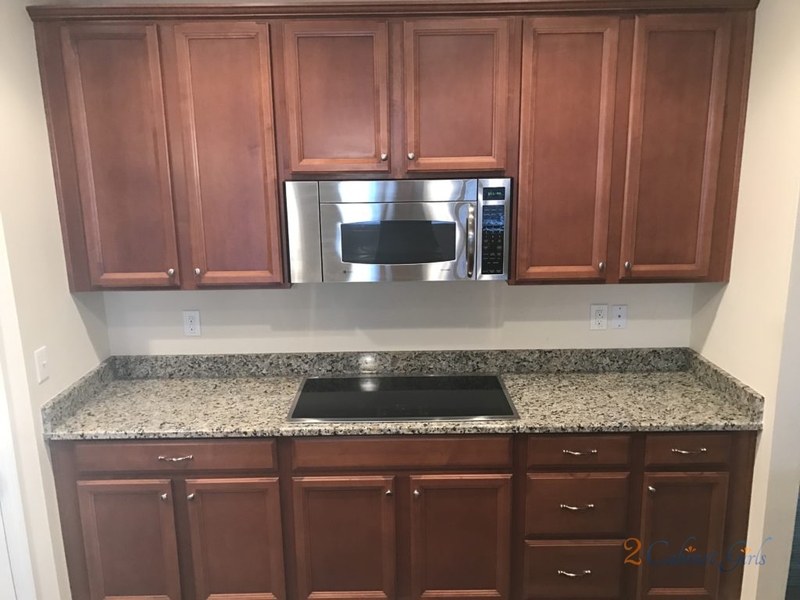 They chose Benjamin Moore Silver Satin to brighten up the cabinets, help them blend in better with the granite, and stand out from the cherry flooring. 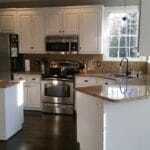 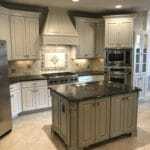 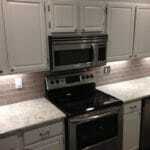 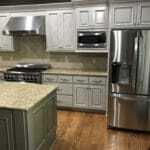 Lightening up the cabinets make the island look even larger than it already did!